Managing brokers – If you are not licensed to sell real estate in Wisconsin, a Wisconsin law limits your involvement in the selling or leasing of Wisconsin properties. According to the Wisconsin REALTORS® Association (WRA), a law became effective Jan. 1 that requires Wisconsin real estate licensees to list Wisconsin properties. 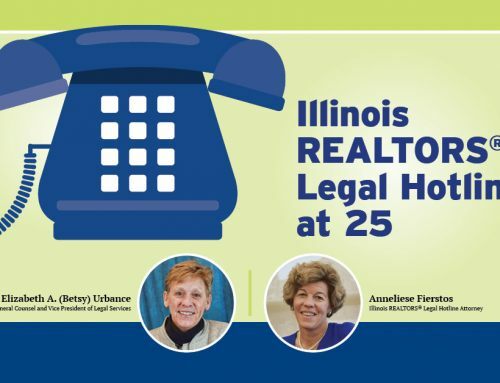 While the law was created because of problems that arose when out-of-state brokers handled transactions, Illinois licensees are allowed work cooperatively with Wisconsin brokers. For more information, see the March issue of D.R. Legal News for managing brokers.